What does our Leadership Team look like? Founded Cambridge Sensotec with fellow Directors Victor and Donald in 2000. He has been the Managing Director for eighteen years and has led the company from a two-man part-time operation, building machines in his spare bedroom, to a multi-million pound turnover business employing over thirty people in two factories. 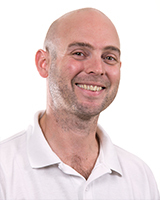 Mark graduated with a degree in Geology from Hull University and completed a Masters degree in Industrial Mineralogy, before specialising in electrochemical ceramic sensors to complete a PhD at Leeds University. He has worked in research both in industry (Cookson Group Plc) as well as spending five years as a Post Doc researcher at Cambridge University. Along with fellow directors Mark and Victor, Donald helped set up Cambridge Sensotec in 2000, acting as the Technical Director of the company. As such he has been responsible for the original design and development of the Rapidox 1100, 2100 and 3100 range of instruments in their various forms, as well as most of the proprietary elements of the 5100 and 6100 electronic hardware and firmware. He also provides technical support and advice to manufacturing and to customers. 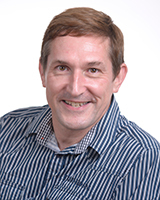 Donald has a degree in Physics and over the past 40 years has worked in Physics, Electronics and Software in France, the USA and the UK before joining Cambridge Sensotec full-time. He also worked as a freelance photographer whilst spending a year in Africa in the mid 1980s. After Cambridge Sensotec acquired Dynascan in 2014, founder Charles came on board at Cambridge Sensotec as Product Manager. 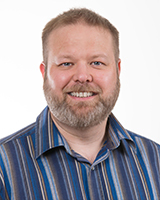 Responsible for the product development and introduction process, Charles manages the product life cycles and coordinates the project managers to ensure the Rapidox products meet the evolving customer expectations and our overall business goals. He has specific responsibility for the Dynascan business sector and manages the systems design and manufacturing to ensure Dynascan satisfies the stringent requirements set by customers. 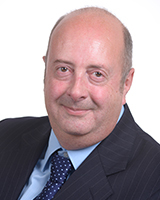 Charles has over twenty years’ experience of providing product testing solutions, especially working with the major pharmaceutical companies to provide their packaging integrity solutions. He has been instrumental in the design and development of some of the most innovative leak test and product integrity systems currently available. 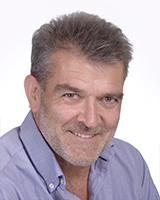 Joined Cambridge Sensotec in June 2018 as Sales Group Manager bringing with him more than 20 years’ expertise in the pharmaceutical, medical device and capital equipment industries. His experience spans sales, business development, key accounts, sales management and consultancy at both national and international level. Accountable for overall sales, and responsible for increasing profitability and customer satisfaction through the leadership and management of the sales and marketing teams together with the review and implementation of processes, strategies and service enhancements. Matthew is also responsible for sales and marketing processes of the quality management system. 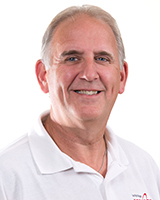 Steve has brought over 30 years of experience into the role of Quality Control manager, gained in manufacturing and quality management for a world leading manufacturer. His experience covers lean manufacturing, product quality control processes, quality management system implementation and development. Accountable for achieving and maintaining ISO accreditation levels through the development and implementation of the Quality management system, by effectively communicating and developing understanding across all departments, through to the supply chain and distribution network. Throughout his nine years at Cambridge Sensotec as Chief Technician Luke’s job role and experience has expanded to manage Production and encourage a positive attitude towards continuous improvement within the manufacturing environment. Luke is responsible for maintaining the Change Management System and ensuring that the correct processes are in place and followed by his team. Through the combination of his leadership and his team’s commitment to the Quality Management System, Luke and his team aim to deliver the highest quality of goods and ensure a high level of customer satisfaction. Elaina is the Marketing Manager accountable for digital and print-based advertisement, planning of events, marketing analysis and upkeep of the website. 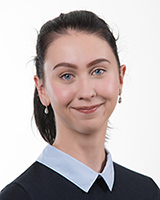 Elaina joined in January 2016, starting her experience working as a marketing assistant and soon progressed, taking on more responsibilities within her role. In 2017 Elaina was promoted to Marketing Manager with a remit ensuring that marketing strategies are planned and followed, as well as an executive to drive traffic to the website, analyse analytical data and act upon ongoing marketing trends. 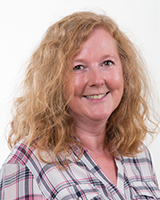 Lorraine joined Cambridge Sensotec in July 2017 as Office Manager bringing with her more than 30 years’ expertise within the construction and logistics industries. Her experience is varied from being a PA to the Operations Director of a National home delivery company, to sales and accountancy/credit control. A customer focused front of office professional, accountable for accurate processing of orders and management of the administration and logistics team. Lorraine is responsible for ensuring the overall smooth running of the business.